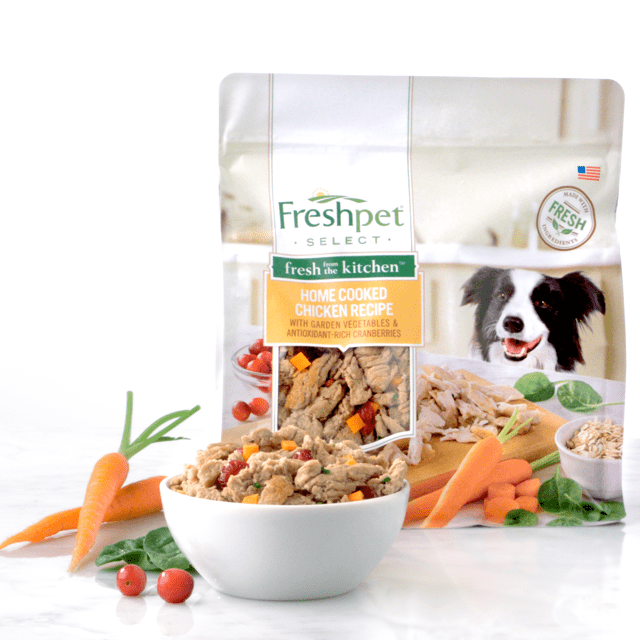 We are really excited to introduce our latest innovation in fresh, all-natural food for pets: new Freshpet® Select Fresh from the Kitchen™, a ready to serve meal for your dog. What makes Fresh from the Kitchen so different is that it’s the first of its kind to offer a unique texture of shredded chicken. Reminiscent of home cooking for your family, Fresh from the Kitchen is just like shreds pulled from a freshly roasted chicken. 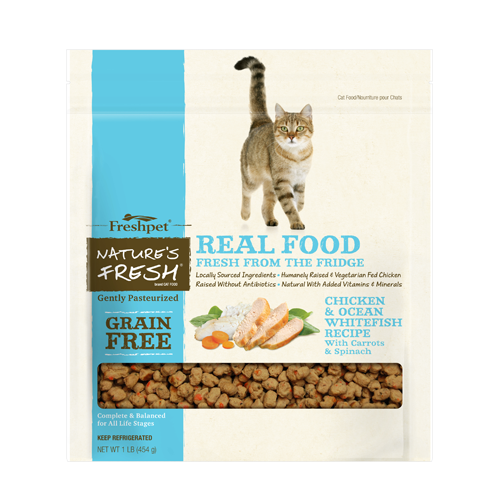 And like all other Freshpet food, Fresh from the Kitchen is a meat based recipe, high in fresh animal proteins, with no artificial preservatives or fillers like corn, wheat or soy. 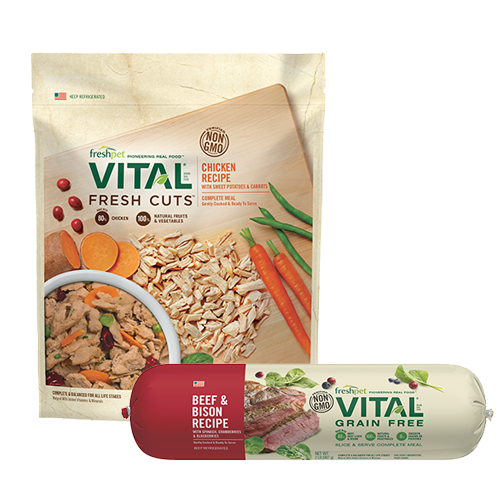 Fresh from the Kitchen is also the first Freshpet Select recipe for dog food to include antioxidant-rich cranberries, along with garden vegetables including carrots and spinach. 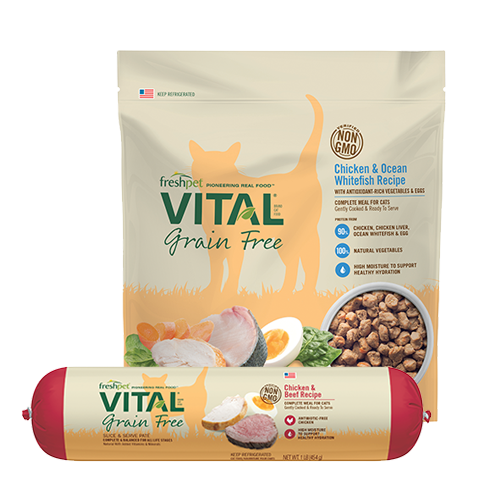 These super foods, plus the additional vitamins and minerals in our recipe, provide the extra nutritional boost that every pet parent will love. 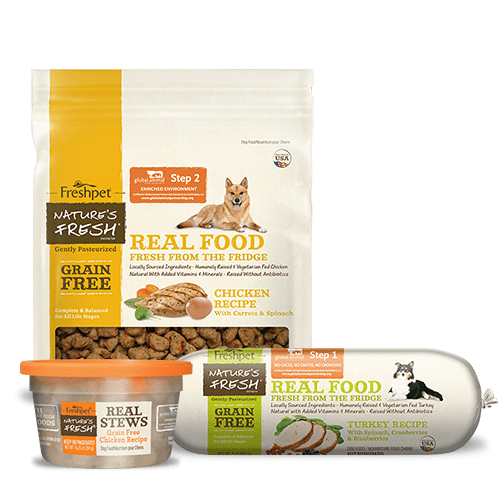 Most pet parents would agree that feeding their dogs yummy, gourmet food that is more like their own food, is a great way to express their care for their beloved pet. 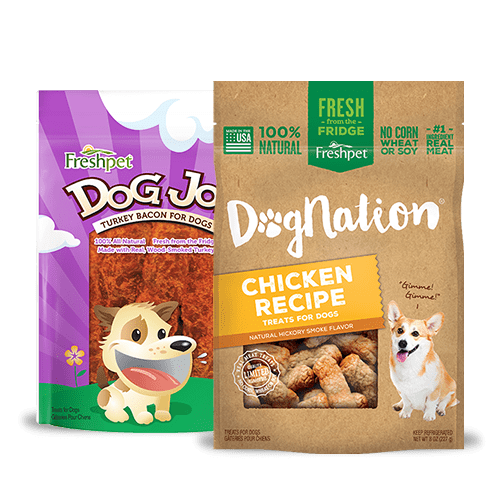 It is in this spirt of a heartfelt, homemade meal, that we have crafted this unique dog food recipe. 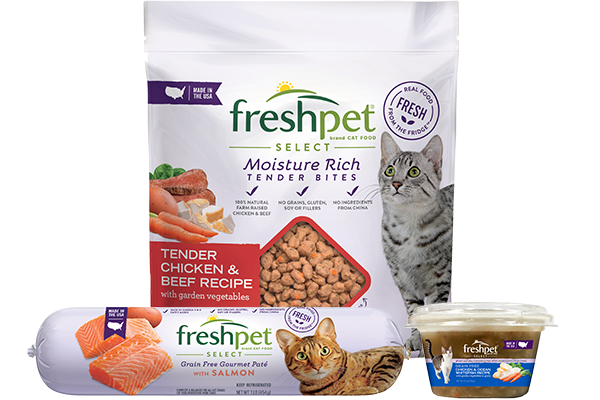 Just as we carefully prepare our meals at home, our Freshpet Kitchen in Bethlehem, Pennsylvania prepares each recipe in small batches and immediately refrigerates the meals to preserve key nutrients. 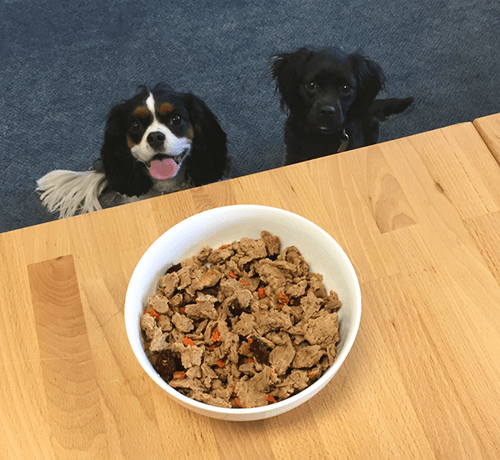 That is exactly why we called this recipe ‘Fresh from the Kitchen.’ Our pet parents agree that this recipe emulates a homemade pet food recipe they would make themselves, if they had the nutritional know how and time. 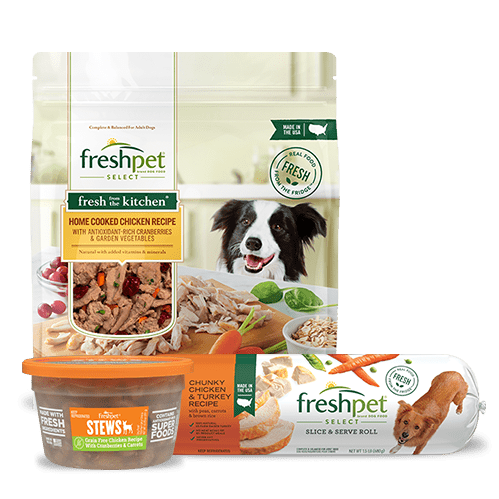 You can find new Freshpet® Select Fresh from the Kitchen™ in select Target, Walmart locations and your local grocery store.